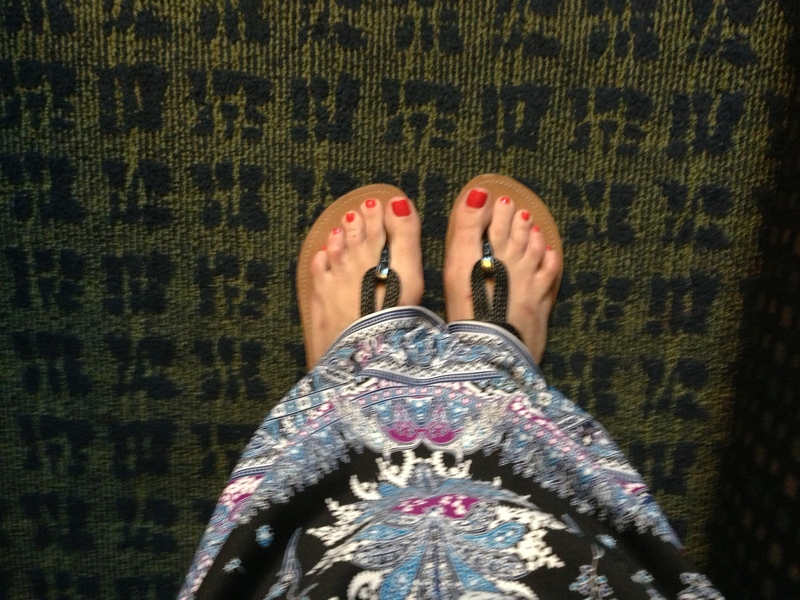 I just got a fabulous mani/pedi on Monday and decided to write about how to show off a cute summer pedicure: the flat sandal. 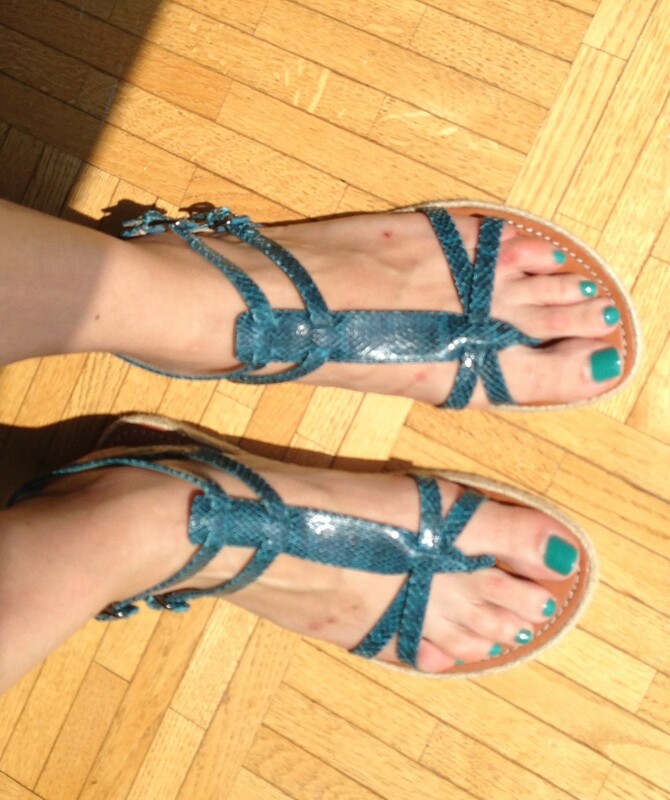 Flip flops are an easy summer comfort shoe but sometimes they are difficult to walk around in. 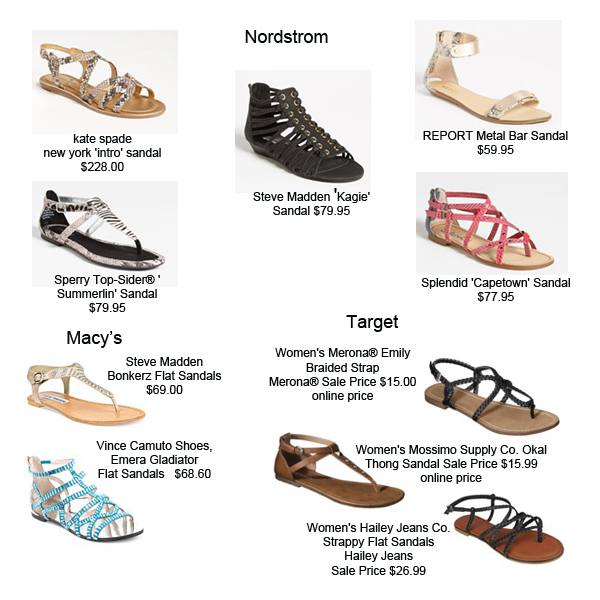 There are many fun flat sandal alternatives that provide a little more comfort and stability. You can wear this trend with dresses of all lengths, skirts, shorts, and jeans. 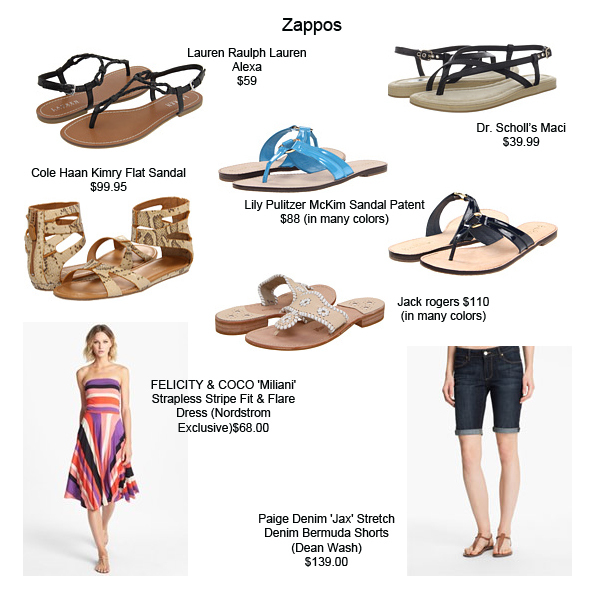 I shopped online at Macy’s, Nordstrom, Target, and Zappos.